Analyst of trends in religion, Robert P. Jones, of the Public Religion Research Institute (PRRI) has authored a new book with the provocative title of The End of White Christian America. I've not yet read the book, but had the opportunity to hear him speak at the 2015 Academy of Parish Clergy meeting, where he detailed some of the trends in American religion that I'm assuming are detailed in the book. This week historian of American religion and commentator on things religion, Martin Marty takes up an aspect of the book---that would be the state of white Protestant America. Marty quibbles a bit with the language, suggesting that we might talk about the end of white Protestantdom (like Christendom), but more focused on the decline of white Protestantism's hold on American society. I invite you to take up the conversation --- what is the future of predominantly white Protestantism in an increasingly diverse nation? “Everybody’s talking about . . . ,” in this case, white Protestant America’s posture and place in politics, events, culture, and more. This summer “everybody” is, or at least quite a few people are, talking and blogging about the capitalized three words: White Protestant America, referencing the book by Robert P. Jones, CEO of PRRI, the Public Religion Research Institute (Simon & Schuster). Everybody’s also talking about “decline,” as in decline of the West, civilization, civility, politics, sanity, spirituality, and the like, so they might as well talk about the decline of White Protestant America, and they do. Jones does the declinists one better by writing not about the “decline,” but the end. His book is full of graphs, statistics, and charted trends, which are tools of his trade, as well as of stories, the tools of historians and many kinds of writers. Spoiler alert: this is not a review of the book. Often in Sightings we point to, plunder, learn from, comment on, and pass the word along about a book. But we who are schooled in academia know we can’t do justice to most books in the little space of a column. In academic settings I could question some elements in Jones book and would enjoy round-tabling about it. For now, a dominating question might be: is the concept of the “end” in place as a proper category to discuss the history and prospects of White Christian America? That depends on what one includes in the category. If I had my choice, as I do on this page, I’d prefer to talk about the End of White Protestantdom in America. The Oxford Dictionary and users like myself can trace the concept of Protestantdom to the 17th century, but it’s rare even today. Yet it fits. The suffix “-dom” signals domain, place, power, etc. Thus we see the end of Christendom in many parts of the world, but we do not also see the end of Christianity as if it were a synonym. Jones spends some energies on the Post-End world. Readers can encounter blogs and article-length critiques of many things in Jones’ book. He, of course, can deal with responses, and will probably chart and graph their trends. The instinct in the historian in me, profiting from this reading, is to roll with the punch of history. Colleague David Tracy taught me to see all human life measured under three signals: finitude, contingency, and transience. We and our civilizations die. Accidents and events alter courses. Nothing lasts. Why did many shapers and friends and foes of White Christian America think that, for the first time in history, people and institutions in this category would be exempt? Chaplain Mike. "Robert Jones: An Obituary for White Christian America." Internet Monk. July 15, 2016. Guyton, Morgan. 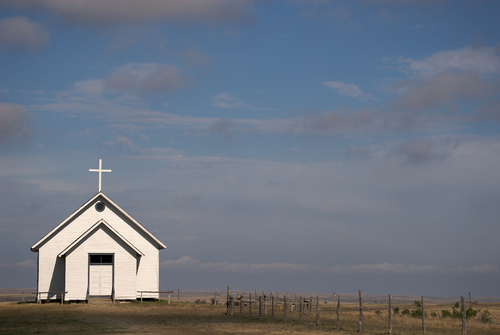 "Has Culture War Killed White Christian America?" Mercy not Sacrifice (blog) on Patheos. July 15, 2016. Jones, Robert P. "The Eclipse of White Christian America." The Atlantic. July 12, 2016.